Chickpea has done it again! 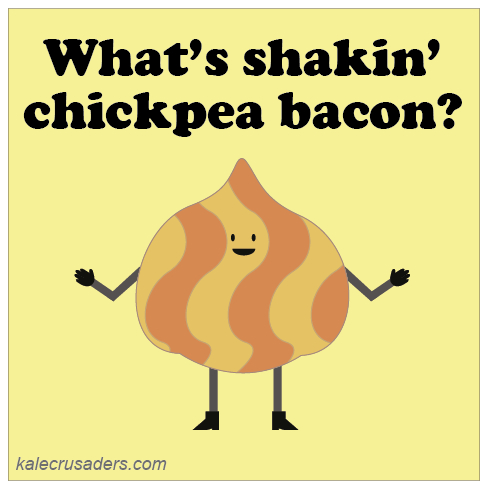 Refusing to be blended or smashed to pieces yet again, Chickpea is adopting her latest persona as a bundle of bacon flavor. These Chickpea Bacon Balls a.k.a. Smoky Chickpeas by Robin Robertson make a great salad topper and sandwich filling!